Some semblance of order has been restored at the head office of ILG, with a Supreme Court ruling returning power to the ousted board members ahead of what will be a dramatic AGM on Monday. A growing divide between four of the nine directors of the co-op came to a head this week when a board meeting was called to rule on pressing issues, although Kent Walker and Sergio Colosimo were reportedly not notified of the meeting. The four present resolved that a ‘quorum’ was warranted on the basis of the removal of these two directors, leaving the four of them making a majority. This is believed to have provided justification for taking control of the ILG head office on Tuesday, with chairman Chris Grigoriou and other directors locked out. Steps were quickly implemented to add Neville Blair as a nominee for director, reinstate the recently dismissed company secretary, remove the CEO, Paul Esposito, and place the CFO and HR manager on leave. The four directors issued a statement yesterday explaining their actions, placing firm blame on disharmony under Grigoriou, and accusing Kent Walker and Sergio Colosimo of improprieties that should have triggered their resignations as directors. But the Board had already sought high-level legal advice from the co-op’s legal counsel, Herbert Smith Freehills, which stated Colosimo was not in breach of company rules. The counsel also advised that Blair, who retired as a director in April this year after more than ten years on the Board, was not eligible for renomination under company rules. Sergio is the third Colosimo to serve on the ILG Board, and holds a Masters in International Hospitality and Hotel Management. When contacted, he stressed his interest in the position is based in belief in the industry and he’s happy to see decisions made in the forum of the AGM. Since the lock-out on Tuesday, the ejected directors and chairman have worked to get a hearing in the NSW Supreme Court on the legality of the takeover, with a ruling presented this morning by Justice R. McDougall. It was found that the purported Board meeting called and attended by Malcolm Russell, Michael Thomas, David Mellor and Kylee Dennis was not valid, nor their subsequent actions. 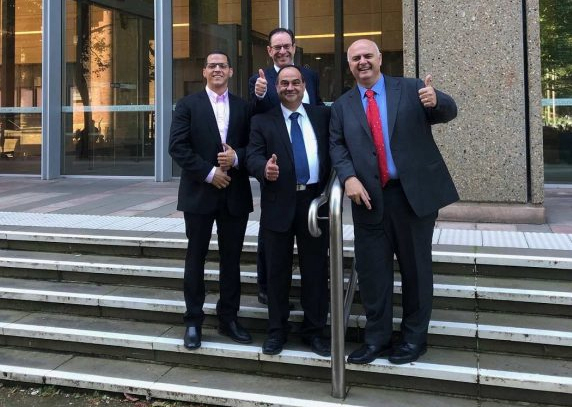 The quickly implemented measures were overruled and set aside, including the dismissals of Grigoriou, Esposito, Colosimo and Walker, and authorisation for ILG to pay the legal bills of Russell, Thomas, Mellor and Dennis. This effectively returns ILG to status quo prior to Tuesday’s melee, although it is anticipated a significantly stronger contingent of co-op members will now exercise their right to vote on the proposed resolutions, which will include one on all Board positions. “Please don’t let the events of this week impact the ongoing livelihood of long serving staff and the ILG family as a whole,” offered the reinstated CEO, Paul Esposito. “Thankfully the differences that have given rise to these events will now be resolved how they should be, by a vote of members.